Right now much of the country is covered in snow, and here in SoCal we are actually getting a lot of rain, so what is something fun you can do on those cold and rainy (or snowy) days, something that everyone will like? 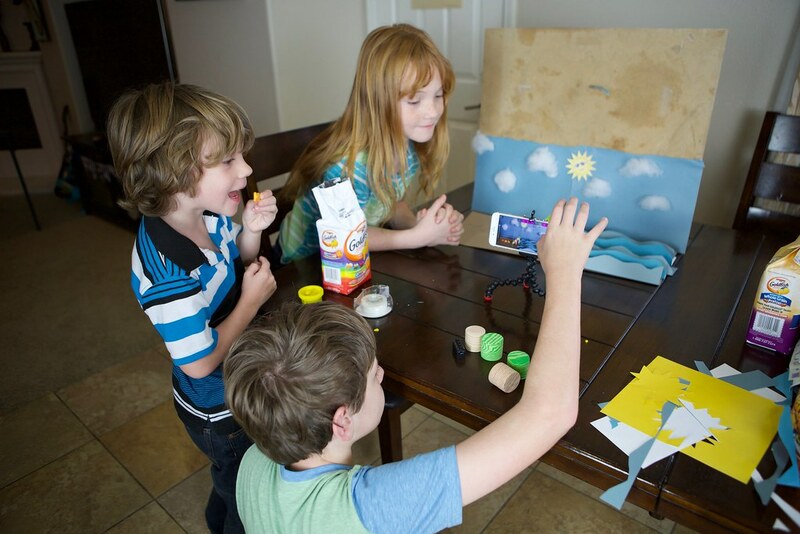 How about making a stop-motion video? 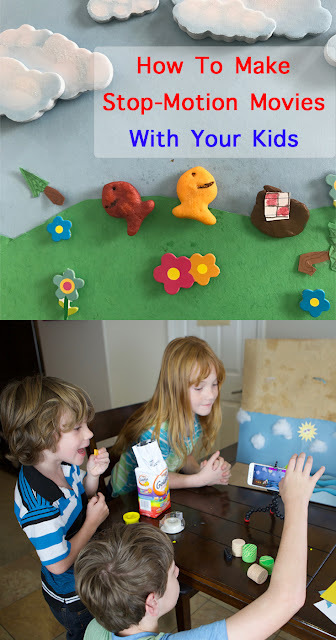 Until recently, We had never made a stop motion video, but after seeing the tutorials on the GoldFish Website, we knew we wanted to try. Do you want something short and funny? Something dramatic? Something sweet? Unless you have a lot of time and really want to do a big production, you will want to pick a little short scene, think one thing happening. Definitely seek your kids input as they have all kinds of creative ideas. 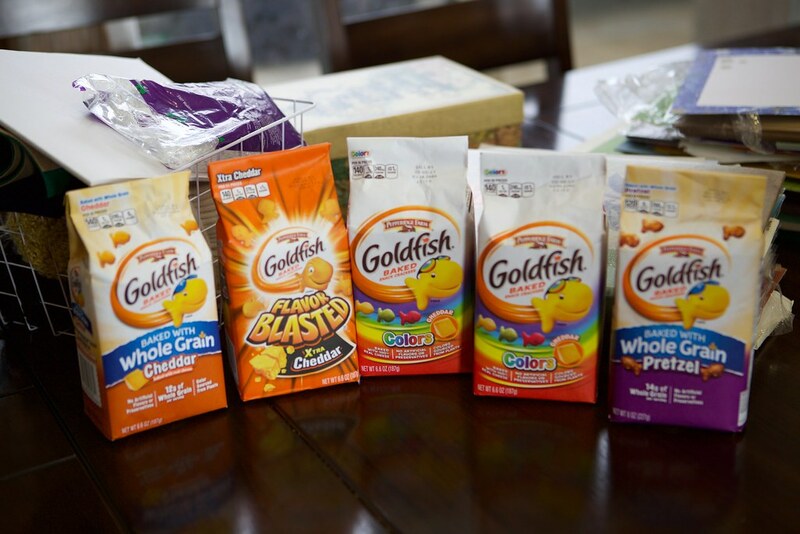 For our videos we used Goldfish Crackers for the characters of our videos. -Make the background and props you will need in your scene. Make sure you have everything ready and all of the props set to the side. We recommend taping the background in place, we taped it to the back of an old chalk board, as otherwise if it slides, it will throw things off. --Prop Action: If you are wanting props to open or grow, you will need multiple version of that prop. Example: In our Picnic video, the fish carries in a "folded" picnic blanket then it unfolds as he lays it out. My daughter actually made three different blankets, all of various sizes, so the blanket gets bigger as it unfolds. We also made multiple umbrellas, a folded one, partially open and fully open, to make it seem like it was actually opening up. TIP- 3-demensional scene looks really cool, but are definitely more tricky to set up and move the figures just right, if your basic scene and background is flat, it is a bit easier to do. For your first video I recommend a flat scene. A 3-D Stop Motion set up we did- though someone kept eating our Goldfish! Here is our Picnic Video-the third video we actually made. You definitely need to have your camera mounted or somehow stationary, movement of the camera will make the whole video off and shaky. You can use a stand for your phone or tablet, or a third party one. For our picnic, I mounted my phone using a phone tri-pod which I attached to the handle of my camera tri-pod, a bit crazy but it worked. Once your camera and props are in place, then start shooting. --Small Movements-- the more fluid you want your movie, then you need very small movements between pictures. You want to set your things in place, take a picture then move your character just a tiny bit, then snap the next picture, etc. If you want something to move faster, then move it a bigger space. -Keep things moving-- unless something is supposed to be stationary, like a house or tree- you will want to move each movable thing a little bit in almost every shot to help it look more realistic. We did not do this as much with our first video, as we were still learning, but learned this trick in the end. 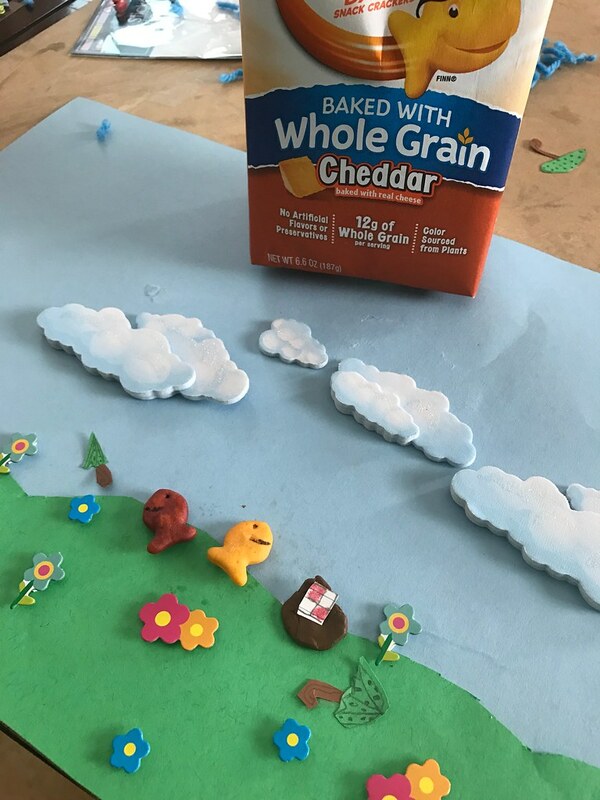 (Example- in the picnic, even when the clouds rolling in is the focus, we still moved the Goldfish just the slightest bit to make sure he looked like he wasn't a frozen statue all of the sudden). -Take lots of pictures! Our Christmas Tree video is 145 frames and lasts about 30 seconds, so yes we moved everything 145 times for 30 seconds worth of film. It does take some time to do it well, but it is so fun! My daughter would move the things, then I would click, say okay, and she would move them a little bit more, it was fun working together. It really can be a lot of fun making these videos, in fact we are kind of hooked and have made several now. If you want to take a try and making Stop-Action movies- definitely check out more tips and tricks at the Goldfish Website. --While there--Don't miss out on your chance to enter to win $5000 when you make a video of you own. 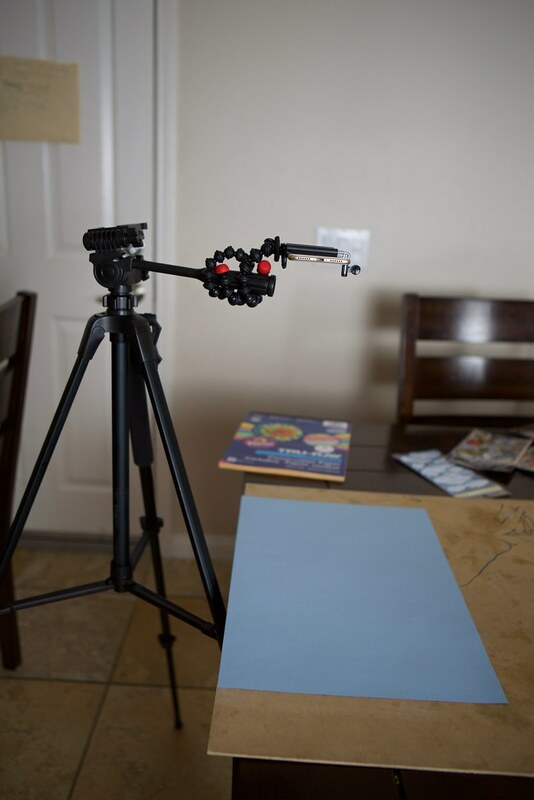 Have you ever made a Stop-Motion Movie? The videos turned out fantastic. You guys did a great job. Stop Motion is a lot of fun. My daughter absolutely loves to make the videos. I bought some Stick bots from Hobby Lobby for us to make another video but we haven't gotten that far to use them yet though. Oh, you will have to let me know when you get your next video done, would love to see it! This is a really cute concept. Will love to do this with my godchildren. I've been wanting to do one of these! Thank you for the tips! No problem! If you do make one would love to see your video! Thank you and no problem! Your son did a great job on his video! Such a cute idea. My daughter would love this! What a fun idea! My kids are still a little too young to do this with but I could see it being a great family activity as the kids grow. Definitely, it is hard when they get older to sometimes find something they all want to do that they don't think is "boring"
This is SOOOOO cool! Oh man, I wish my girls were a little (a lot) older so they could have the patience for this. Okay, I wish I could have the patience for this (with my kids). Definitely saving this post for the future. In the meantime...maybe i'll go pick up some goldfish and they can pretend to let them "swim" in all this rain we're getting (also in SoCal!!). Sounds like a plan! And yes I cannot believe how much rain we are getting! Soooooo awesome!!! Bookmarking this for sure!! This is so cool! I am going to try this with the kids for sure! Would love to see your videos if you do! Absolutely loved it !!! Very cute and fun ! Great idea and great job ! My kids will love it ! Which App did you use ? Thanks Emmy , sure the paid probably much better I will check on that ! I can wait to have family fun !